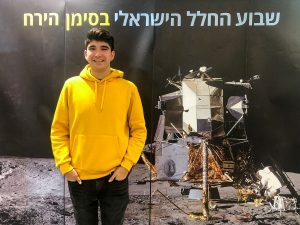 Note: This is the second in a series of posts from a team of iLEAD learners who recently traveled to Israel, along with iLEAD founder Amber Raskin and iLEAD Director of STEAM Initiatives Kathleen Fredette. 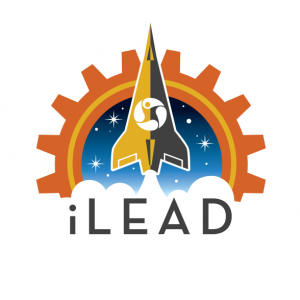 The trip was part of iLEAD’s inaugural Science Accelerator program. Stepping off the plane and into the Tel Aviv airport, I didn’t know what to expect. I had no preconceived notions of Israel other than small facts I had learned in school. The Holocaust, terrorist attacks, and the Palestinian/Israeli conflict were all that came to mind. Arriving in the late afternoon meant not being able to see what Israel had to offer, only the headlights of cars as we drove to the hotel where we’d be staying. What emerged the next morning as the sun came up was amazing. A full view of this beautiful country. In terms of development and modernization, Israel felt similar to California, but there was a different feel. It was clean and everyone seemed respectful — a breath of fresh air. On our first full day in Israel, we joined students at a local school for a few hours to see how they learned, both the similarities and differences. The first day, there were five students that took us around to their classes so we could get a glimpse of their education. 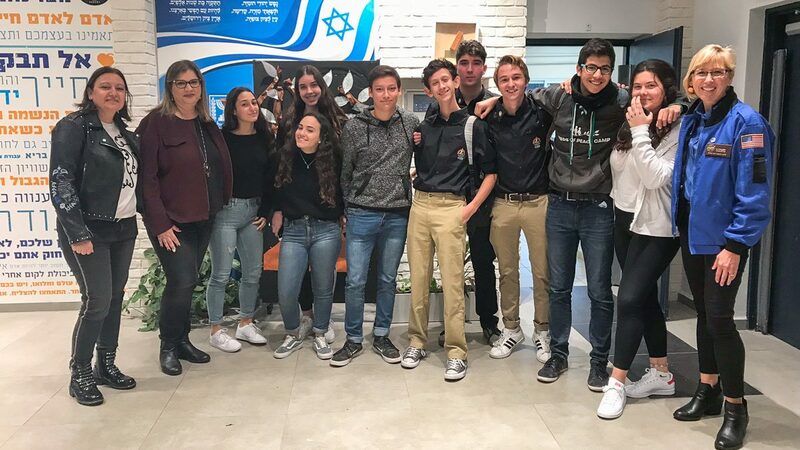 When we first got into the school, we were swarmed with friendly questions, inquiring about where we were from and what brought us to Israel. When the commotion died down and our assigned kids were finally able to bring us further than 10 feet into the school, I saw just how different the students were from us. In a school that is practically double the size of my own, everyone seemed to not only know one other, but converse regularly. There seemed to be cliques, but there wasn’t any competition. Everyone was doing their own thing yet happy to cheer one another on. It was beautiful. We met the teachers, who all seemed to have a twinkle in their eye and a passion for teaching. The student body seemed to get along remarkably well with their teachers. We were assigned to our particular students because of a mutual involvement in the Science Accelerator project. Every person we met seemed to share a love of learning and wanted to make something of themselves, something I haven’t seen often. Not knowing much about Israel and their culture made me think they would be a country of small schools and people just trying to get by. Instead, I saw hundreds of kids thriving and wanting to make something of their lives. As we got to know our escorts better, we became friends and planned to meet up again during our stay in Israel. We returned to our hotel and prepared to present the next day, where we would see the new friends we made. We arrived at the venue to present our project and were greeted by not only our friends, but young children who recognized us as being foreign. Like others, they were equally enthusiastic to greet us. Everyone who we met, both young and old, were remarkably polite and outgoing. Encouragement was in the air as we and the other high schoolers prepared to present our projects. The high schoolers from the school we visited presented in English, for us and us alone. If that isn’t a testament to the common friendliness all around Israel, I don’t know what is. We all presented our ideas and when we exited the venue, we met up with some of the others we met the day before and walked to get some food. There we talked and learned more about them individually. One wanted to be a brain surgeon, one a doctor, and another, the Prime Minister of Israel. Everyone had big dreams. In Israel many children do something called the ¨Scouts.¨ The Scouts are similar to the scout programs we have in America, except more kids do it and it is based around self-improvement, comradery and skills to help them for their inevitable enlistment into the Israeli military after high school. After we finished eating, two of the people we met had to go to the Scouts and we were invited to see this whole new side of the children and teens of Israel. 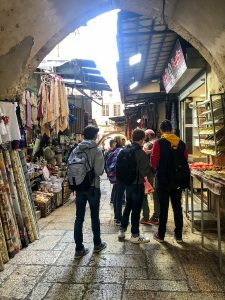 One boy took us all through the city of Tel Aviv, through neighborhoods, elementary schools and shopping malls, all the way saying hello to every person we encountered, as if we knew them. When we finally made it to the Scouts, we met some of the counselors and this is where I saw the true breath of comradery that is among Israel’s youth. I saw kids who clearly didn’t belong to our escorts’ little clique, working together to cleanup the area and joking with one other. The high schoolers weren’t in the same classes, friend groups or even the same neighborhoods, yet still they got along like they had known one other their entire lives. The Scouts meetup was reminiscent of a family reunion as everyone enjoyed one another’s company. It was unlike anything I have ever seen. Everyone was inviting towards one other, but also us, the foreigners. They didn’t want to know all about America or what we were doing in Israel, they wanted to know about us. They wanted to connect. We were met with inquiries about our personal dreams and aspirations. Yet, we were people they would likely never see again, and still they wanted to interact with us in a way that I haven’t experienced with people I have known for years. When it was time for us to say goodbye to our friends and return to our hotel, we were waved goodbye by troupes of people we had just met. And as we walked to the street to hail a cab, I felt content. Meeting so many new people and being able to connect with those in a culture so removed from our own was something I’ll never forget. But it wasn’t only Israel’s youth who behaved in this fashion. We attended a traditional Shabbat dinner, and people we had never met — only known through mutual connections — invited us into their homes. They even changed the dishes to cater to a nut allergy. These people we had never met before made homemade bread and cooked without nuts all to be nice and inviting to us, something I consider rare in America, but it seemed to be the norm here in Israel. When I asked someone why Tel Aviv was such a big city, yet we didn’t see any homeless people, I was told that not only do they have good shelters in place, but people take those who are homeless into their own homes and care for them. This would be so abnormal in America so as to garner news attention, yet it was the norm in Israel. It is a culture of support and unwavering kindness. As we moved out of Tel Aviv we stayed in a science center and two different AirBNBs. No matter where we went, every citizen was as inviting, if not more than, the last. Even in the crowded streets of Jaffa, people went out of their way to say hello. You forget that you are in a place deemed ¨dangerous¨ by American news outlets. The culture in Israel is an inviting one and the diversity in the cities reflects that. We weren’t able to see the students we met again for the duration of our trip, but that’s not to say we haven’t been in contact. We text each other regularly and I believe we will continue to for the foreseeable future. This trip was an informative one in terms of knowledge gained and personal growth. I look forward to returning.